Home / Other Political News, Politics / Here is why presidential candidate MOSES KURIA clashed with DP on Wednesday – There is a huge fire in the mountain ahead of 2022! Here is why presidential candidate MOSES KURIA clashed with DP on Wednesday – There is a huge fire in the mountain ahead of 2022! 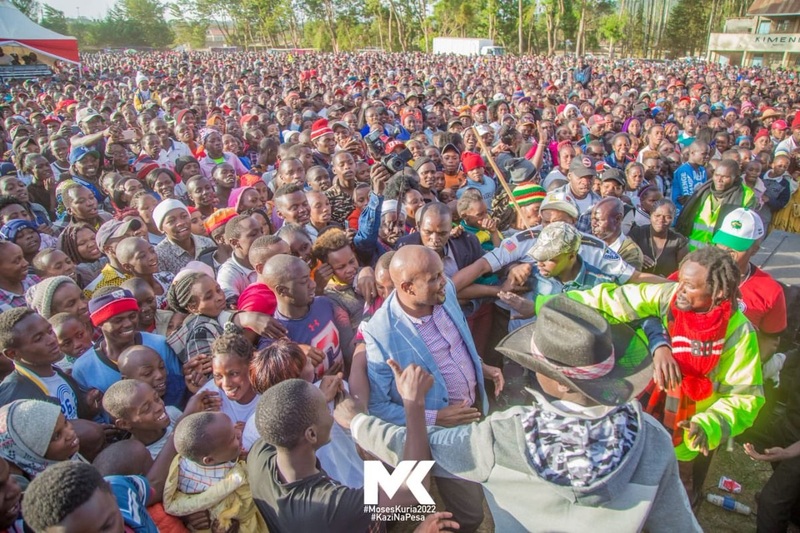 Wednesday March 27, 2019 - Gatundu South MP, Moses Kuria, has distanced himself from a statement allegedly issued by the Democratic Party about his 2022 presidential candidature. On Wednesday, Democratic Party (DP) which was founded by former President Mwai Kibaki issued a statement indicating that Kuria will use the party to vie for the Presidency in 2022. But in a social media post, Kuria said although he was considering to vie on a DP ticket, he is yet to make an official application for membership. The controversial legislator asked the DP leadership to relax and wait for his official announcement. "I have noted with concern a statement about my candidature coming from the Secretary General of the Democratic Party. I have never declared which party I will vie on," Kuria stated. "I am interviewing various parties to assess which one is close to my vision and agenda for this nation. DP is on that shortlist. Let them relax. The process will take some time and they will be notified of the outcome through formal channels,” Kuria added. Early this year, Kuria hinted that he may decamp from Jubilee Party for DP.